SWCPoker is one of the most respected Bitcoin poker rooms on the Internet. SWCPoker offers players the ultimate Bitcoin poker experience and it accepts US players too. The number of players online at any time is lower than the more established poker networks, but you will still find scores of players active at the tables. The most impressive aspect of this online poker room is its Bitcoin payment system. With more players turning to Bitcoin poker rooms as a way of circumventing existing regulation, SWCPoker.eu has been able to increase its numbers at a rate of knots. Players should know that this online poker room does not dabble in other online payment methods like Visa, MasterCard, Skrill, PayPal and money transfers – rather it focuses exclusively on Bitcoin payment options. If you’re wondering what all the fuss is about, it’s important to understand what benefits BTC offers players. For starters, this digital currency/cryptocurrency is governed by open source software. Since this peer-to-peer software is not regulated by any central authorities, everything about the transfer of Bitcoin is completely at the discretion of individual users. BTC operates in much the same way as fiat currency, but it is not a de facto currency since it is not authorised or controlled by central banks or the authorities. The maximum distribution of BTC is capped at 21 million. In terms of value, only end-users can determine the ‘price’ per BTC. Presently, 1 BTC is worth approximately US$615. In a sense, this digital currency is an experiment in demand and supply, since no physical stores of gold bullion or any other fundamental assets back up the value of this digital currency in any way. To get started with poker games at SWCPoker, players will need to buy BTC from a source that sells them. There are 2 basic options available to players in centralised sellers and decentralised exchanges. You will need your own Bitcoin Wallet to safely store your BTC, and you can go to a Bitcoin Exchange to purchase your currency. To get started with this online poker room, you must download the PC client, and confirm that you are 18+ years old. Additionally, you will have to be compliant with the gambling regulations in your jurisdiction. Luckily, US players are fully accepted at this Bitcoin poker room. The gaming selection includes SNG games (Sit & Go’s) and ring games. The most popular games at this poker room are Omaha poker and Texas Hold’em. Since only BTC is accepted, you will not be required to enter any personally identifiable information such as your name, address, Social Security number, ID number etcetera. Further, no documentation needs to be submitted. The anonymity of SWCPoker is one of its drawcards for players. When you make a deposit, the minimum amount that you must deposit is 0.01 BTC. 1 poker chip is the equivalent of 0.001 BTC. Another plus point for this online poker is that deposits and withdrawals are instantly available. Our in-house experts and gaming gurus have reviewed every conceivable aspect of this online poker room, and we have conducted rigourous analysis of the customer support, game selection, deposit and withdrawal options, poker promotions and more. We encourage you to read through our review so that you can gain a better understanding of SWCPoker. No personal information is collected and the entire operation is run in much the same fashion as a live cardroom. There are scores of poker games available at this BTC poker room. These include Chinese Poker, Texas Hold’em, Omaha Hold’em, Stud Games, Draw Games, and Mixed Games. Within each of these categories are scores of unique variants. These include standard Chinese poker games, Open Face Chinese Poker, Open Face Chinese Pineapple, Omaha Hi/Lo 8 or Better, PLO, Stud Hi, Razz, 2-7 Triple Draw, Pot Limit 5 Poker. Mixed games are plenty of fun and include Horse, Triple Stud, 7 Game, 8 Game, 9 Game, 10 Game, 12 Game and Dealer’s Choice. Among players, the most popular games are NLH, LH, PLO and PLO Hi-Lo. The most impressive BTC tournament of the week is the Big BTC on Sundays. Players will wager 250 chips, the equivalent of 0.25 BTC which places you in contention for a guaranteed prize pool of 10 BTC. Additionally, there are other tournaments such as the 14-level loyalty option known as KRILL. In case you’re wondering what SWC Poker is all about, or how it got that name, it stands for Seals With Clubs. The focus of this poker room is BTC poker games. All balances held by players are denominated in this cryptocurrency and all payments are made with this cryptocurrency. You don’t ever have to worry about being approved by traditional banking options such as debit cards, credit cards, e-wallets, bank wires etcetera. Everything is taken care of with this digital currency alone. The smallest possible “monetary unit” is 0.00001 Bitcoin and the minimum that you can withdraw is 0.02 Bitcoin. Once your deposits have cleared (up to 30 minutes) you are ready to play. Withdrawals typically take longer, and the average processing time is between 3 and 6 hours. It may occur from time to time that withdrawals will take upwards of 12 hours to complete. The gaming software that powers this platform is Briggs Softworks, similar to what was used by Poker Mavens. What about the Rake Structure at SWC Poker? We were duly impressed by the low rake structure at this poker room. In fact, it beats most of the US-based and foreign online poker rooms we have reviewed. In fact, the low rake structure also assists poker players who are at the marginal level by making them winning players. The poker client allows for top-tier gaming with cutting-edge technology and smooth gameplay. Let’s take a look at some of the Rake percentages, blinds and max rake at this poker room. With blinds up to 0.10/0.20, the rake percentage is 2.50%. The maximum rake for 2 players is 0.50, for 3-4 players it is 0.50 and for 5 or more players it is 0.50. When the blinds increase to 0.25/0.50, the rake remains at 2.50% and the maximum rake for 2 players, 3 or 4 players is 1. With 5 or more players, the maximum rake is 1.5. With blinds of 0.50/1.0, the maximum rake is 2.50%. The max rake for 2 players is 1, for 3 or 4 players is 2.0 for more than 5 players is 2.0. When the blinds increase to 1/2 or 4/8, the rake percentage remains at 2.50% but the max rake for 2 players goes up to 1.5. For 3 or 4 players, the max rake is 3. The max rake for 5 or more players is also 3. When the blinds are 5/10, or more than that the maximum rake percentage is 2.50%. The max rake for 2 players is 2, for 3 or 4 players is 3, and for 5 or more players is 4. Of course, the rake structure will vary according to fixed limit/mix limit games. All of this information is available in the SWC poker FAQ. Suffice it to say that for betting stakes up to 0 point to 0/0.40, the rake is 2.50% and the maximum rate 2 players is 0.50. 3 or 4 players the max rake is 0.50 and per 5 or more players it is 0.50. Turning our attention to heads up tables, the max rake is 0.50 when the blinds are 0.10/0.20 with a 2.50% rake. For Chinese poker tables, the rake is markedly different. For example, when the stakes are 0.01/point, and there are 2 players or 3 or more players, there is no rake. When we increase the stakes to 0.05 up to 0.50/point, the rake for 2 players is 1.50% and four 3 more players is 2%. The maximum rake that you can expect the 0.50. Flop game hands do not have any rake collected, if they make it to the flop. Much the same is true with stud games, draw games etcetera. When it comes to tournament entry fees, SNGs offer the lowest at 2% or less, nonguaranteed poker tournaments are at 4% and guaranteed prize pool tournaments are at 6%. What about Customer Support at PWCPoker.eu? We were a little disappointed at the lack of customer support options at SWCPoker.eu. For starters, there is no telephone number, fax number or online contact form. The only support option provided is the following email address: support@SWCpoker.eu. Our reviewers contacted this email address and we were pleasantly surprised with the rapid response times for the customer support representatives. They are knowledgeable, courteous and professional in their dealings with customers. Additionally, you can easily stay up-to-date with this Bitcoin poker room by following them on Facebook, or Twitter. The Bitcoin forum for SWCPoker is impressive and certainly worth checking out. You don’t have to deal with conventional banking options or Fiat currency. Everything is geared towards Bitcoin. One of the most impressive aspects of this online poker room is the low rake, and this is evident across the board. With banking, there are no fees or commissions on deposits or withdrawals, and all transactions are processed rapidly. In terms of gaming, you can enjoy a wide range of poker games including mixed games draw games (Texas Hold’em, Omaha and Razz are popular options). The Twitter handle is @SWCpoker and there is a dedicated Facebook page. There are scores of freerolls day and night. What’s the verdict with SWCPoker? As a Bitcoin poker player, you will find SWCPoker to be a reputable and exciting poker room. It features Texas hold them, Omaha, Stud, draw games, mixed games and Chinese-style poker games. Players from all over the world are accepted and you don’t need to register with any personal information. The only thing that is required is an email address. 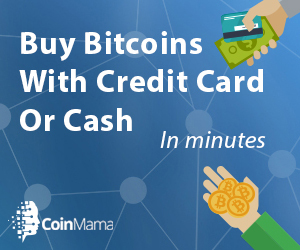 All of your deposits and withdrawals are made in BTC – no checks, no banking details all credit/debit cards are required. The rake typically ranges from 1%-2.5%. For tournaments, the rake is just 5%. If you are playing 2/3 handed with 6+ players, you get a 50% rakeback. Occasionally, players have reported technical glitches during their gameplay, but the good news is that SWCPoker works hard to correct any bugs that may crop up on site. At the time of writing, SWCPoker was available for Windows-powered platforms. We are confident that they will be adding various other clients such as Android, Linux, Mac and even HTML 5 in time to come. The game selection is substantial and the gameplay is generally smooth. You can expect a quality online poker experience, but you should be advised that No Limit Hold’em and Omaha are the main attractions. The software is premium grade, and the range of low roller to high roller games is impressive. Email responses and payouts are typically made within just 24 hours, or sooner. You can expect average competition at this online poker room, especially when compared to other top-tier BTC poker sites. If you’re looking for lots of poker fish, you probably should look elsewhere. Many players on site have knowledge of online poker and the level of competition is intermediate to high, with few casual players. In terms of the safety and security of players, SWC Poker makes big points of its security protocols. We were impressed by the simplicity of the user interface, and the functionality of the platform. Since the team that put together this online poker room comprises poker pros, we are not surprised at the level of professionalism that has gone into making this a great site to play at. In terms of promotional offers, the KRILL leaderboard is a great way to earn bonus prizes every week. Every time you play in a raked hand, you will receive KRILL. This gives you access to many incredible benefits such as freerolls, rakeback and rewards. The minimum KRILL reward is 50 for daily freerolls. The maximum KRILL reward is 10 million for a 50% Rakeback. This is definitely an A-grade online poker room where BTC payments and withdrawals make it possible for players everywhere to enjoy real money poker.